Recipe: Last Minute FAST Valentine's Treat! | The Food Hussy! 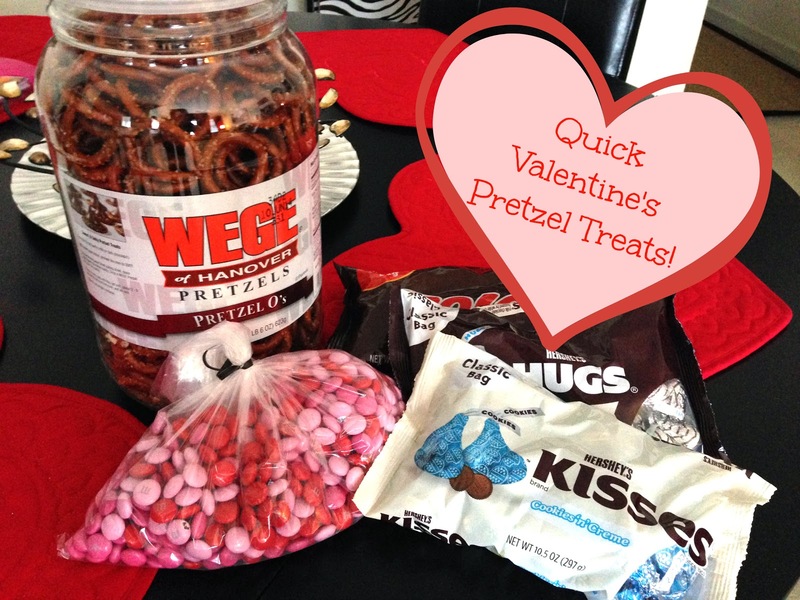 Recipe: Last Minute FAST Valentine's Treat! Quick - your kid comes home and says "Hey Mom - I need to take treats to school tomorrow for Valentine's Day!" Rather than give them a lecture on why they didn't tell you this two weeks ago - just say "Hey kid - no problem!" and make these yummy treats! Arrange pretzels on a baking sheet lined with parchment paper. Warm pretzels in the preheated oven until candy is shiny and slightly softened, 2-5 minutes. Keep an eye on them, when they start losing their shape, they are probably ready. 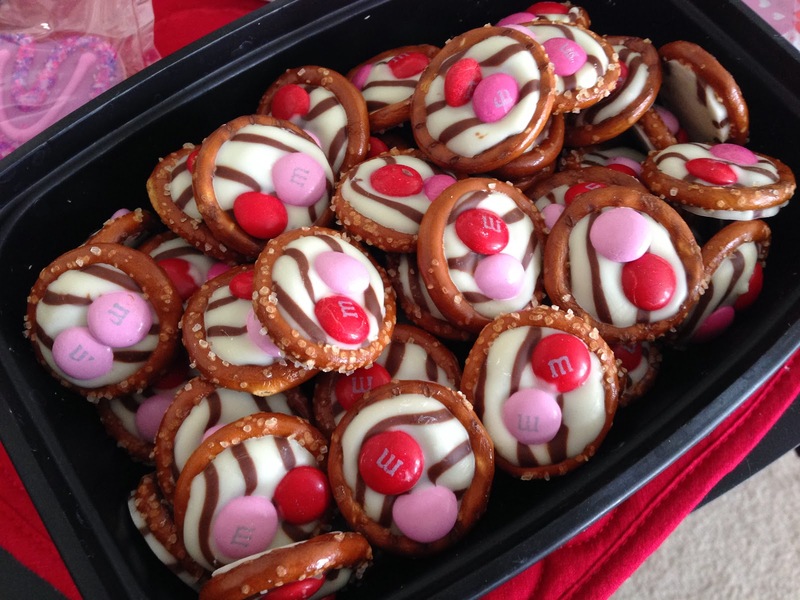 Place regular M&Ms or peanut M&Ms or even a pecan on each pretzel; press down. Chill pretzels on baking sheet in the freezer until they are firm (or set outside in garage etc if it's cold enough).